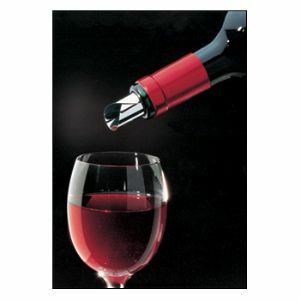 With the wine Drop Stop you will never get stained tablecloths again. Ingenious Mylar� disc rolls up in neck of bottle for fail-proof pouring. Pack of 2 in cardboard sleeve. Same discs as used by many wine bars. Can be ordered as a single sleeve for $3.94 or as 4-pack for $14.89. Either way, this item has special discounted $0.79 shipping.